The big headline at the Gartner Data and Analytics Summit this year was about highlighting the value of data and analytics solutions as well as developing a culture of data enablement. While these concepts shouldn’t sound new to most of you, it should make you feel a sense of urgency to go beyond just doing analytics for analytics sake. You should be achieving tangible business goals. After attending all the talks and hearing the buzz around the event floor, here are our top 3 technology takeaways from the Gartner Data and Analytics 2018 event. We’ve talked about this before on the blog, but augmented analytics refers to how Artificial Intelligence, specifically Machine Learning and Natural Language Generation (NLG), helps automate the data to data-driven decision-making process, making data-driven decision-making accessible to all employees. This is a new turn in the market, as evidenced by the work from Gartner analyst Rita Sallam. Making data insights easily accessible to end users (both internal and external) is a big step towards data democratization. This was brought up in a few different talks throughout the conference. In practice, this turns out to be more of a sophisticated search engine. However, what it is missing is the power of prescriptive analytics – the ability to suggest the best way forward and explain why. While this NLQ can be helpful to businesses, this is quite a narrow view of language technology solutions currently available in the market. This brings us to NLG. Early versions of NLG solutions were much more similar to template solutions – non-dynamic text that just had holes that would be populated with updated data. However, today there are a few Advanced NLG platforms that have powerful inference engines. These solutions can now not only describe what is going on in the data with dynamic text, but can also provide advice and next steps to the end user. What is clear from the Gartner Data and Analytics conference this year is that the market for analytics solutions is constantly changing. This is why it is critical to not only stay on top of cutting-edge technology, but be familiar with which solutions are being successfully implemented within the market. 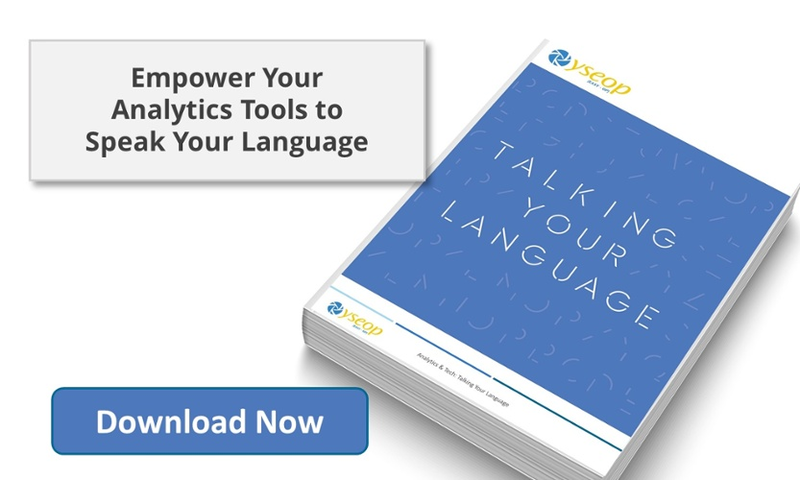 If you’re looking to learn more about how to evaluate your current analytics solutions and take steps towards achieving tangible business objectives, download our most recent ebook, Analytics & Tech: Talking Your Language.